This is the Bird family. They live in a small idyllic village in England. There are two loving parents, 4 gorgeous children, perhaps some small pets running around this beautiful warm cozy house. They attend a cartoonishly cute school and their mother chases rainbows and flowers. It is so perfect - until it is not. A horrible tragic Easter changes their lives forever or maybe perfection could have never lasted and it was just the straw that broke the proverbial camel's back. As secrets are uncovered Lorelei, their mum, buries them further and further away in her dizzying home. What begins innocently as hanging every scrap of paper the children draw on (how artsy she seems!) grows into full blow hoarding, which is quite mesmerizing and unstoppable, in a train wreck sort of way, and frankly, I have never read about such an illness. Colin, the dad, barely says a peep, a fine polite soul just wants everyone to be happy. And the children, well ... we all grow up in homes with secrets and its not until you know they exist that they are a problem. This novel is filled with the most amazing characters. 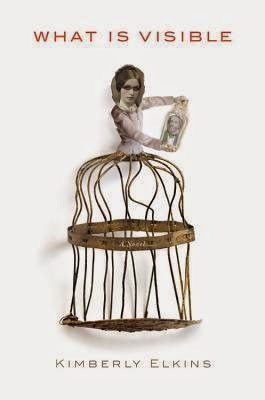 Their relationships and circumstances may seem bizarre at times but when you take a good long look at your own family, everyone has their skeletons in the closet and they do not go away. They patiently wait to be discovered. 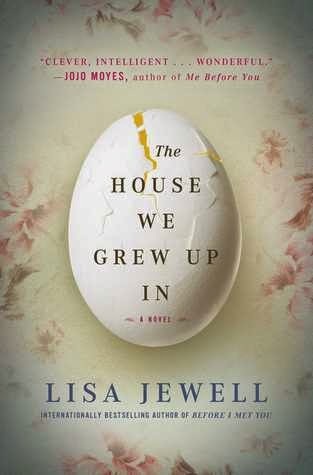 The family dynamics are complicated and the writing is excellent. I truly could not put this book down. Highly recommend and cannot wait to pursue other books by this newly (for me!) discovered author. town in California. Paula is a big animal vet and Jackie, an artist home with their kids; Quinn, a young adopted son, Mando an angry pre-teen whose mother is incarcerated and Star, a 15 year old runaway girl who cannot find the love she is looking for nor the ability to make it on her own. They rent a sprawling home on a practically deserted street save for one neighbor. Clementine is an older bitter woman alone and afraid, the town fears her wrath and most folks prefer to stay far away. But Star befriends a horse on Clementine's property that appears neglected and lonely, like herself. She is drawn to care for this horse no matter the consequences and so begins the unlikely relationship of Clementine in all their lives. 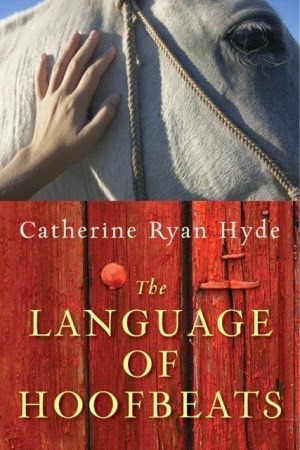 As Catherine Ryan Hyde reveals the story of family, friendship and trust I became immersed in this beautiful unique story, one I had never imagined. Easy simple flow, I highly recommend this enjoyable read. Thank you TLC book tours for the early read! your worst nightmare. Maddy and Ben live in Boston with their three beautiful children. Ben, a successful attorney works tirelessly in the public defenders office and Maddy is a social worker at the local hospital. Family, friends and busy lives surround them constantly. Days are long, sometimes supper isn't ready and yes, milk often spills - but they always manage to trudge on. Ben is a tough guy to handle. His mood swings are often and go from angry to angrier. When he is working he is defending clients where he is passionate and strong - but when he comes home upset the entire family pays the price. 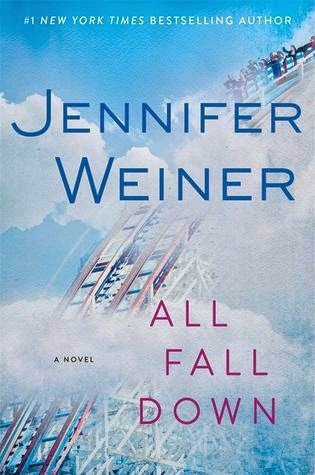 As Maddy helps people for a living she is accustomed to working through an issue but Ben does not want to be psychoanalyzed by his wife and refuses to believe anything is ever his fault, until the accident. There are explanations, excuses and details that lose importance when tragedy occurs and their lives are forever turned upside down. Ben loves his family and whether he is right or wrong, there is nothing he won't do to win their forgiveness. 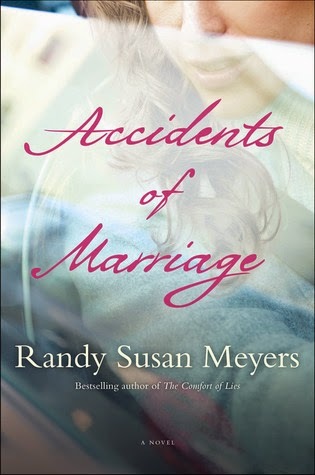 A wonderful writer, Randy Susan Meyers shares this story with care and honesty. It is difficult to decide who to love but this cast of amazing characters will stay with you long after the book is finished. Hanna, Lawrence and Jemima are off on an adventure. They are trekking in a small crowded car from their cottage home in England to Rome, where Hanna spent happy times many years ago. 9 year old Lawrence and his little sister, along with hamster Hermann think this is a vacation but in actuality Hanna is running away from her troubles, new and old. They are short on money and stay in bursts of energy with multiple friends to which Lawrence applies an animal for each, like Crissy chick for example. The story is told through the point of view of Lawrence so its saturated in the misspellings of a child, British vernacular and repetitive grumblings. He only wants to make sad mummy happy and tolerate his little sister long enough to get through this trip and back to school in time for his exams. Little does he know that the adventure becomes as twisted as the roads they travel. Mum never stays smiling and the reader slowly understands the seriousness the novel begins to take. The realization sets in and although I dreaded what was obviously coming, I had grown to love these characters and hoped and prayed for their best outcome. 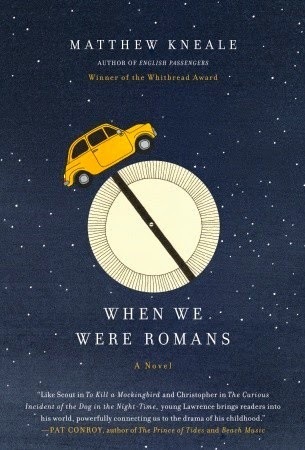 Completely original When We Were Romans is an incredible journey in an entirely different direction. Anyone with an open mind to creativity and life in general will "get" what this book truly represents. Highly recommend to my faithful readers! Alice. She disappeared 10 years ago after a tragic accident at the elephant sanctuary where her and her husband lived and worked as scientists and activists. Jenna is a feisty, brilliant young lady who has traded her entire childhood to play detective. She has devoured every word of Alice's scientific journals. 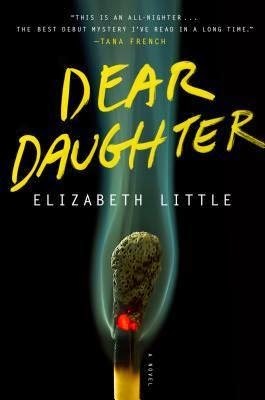 Jenna believes her mother may still be out there and is torn between the horrible idea of finding out she is dead or the more horrible idea that she is alive, on the run and chose to leave her beloved daughter behind. Her father is in a psychiatric hospital after a complete breakdown following the events at the sanctuary and Jenna hires a quirky psychic named Serenity and a has-been detective called Virgil to help her solve this lifelong mystery. Hmmmmm ... this is a tough one. 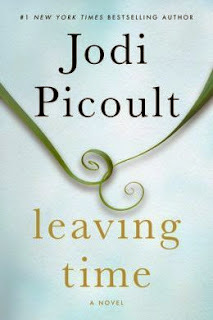 Jodi Picoult's writing is as always, superb. 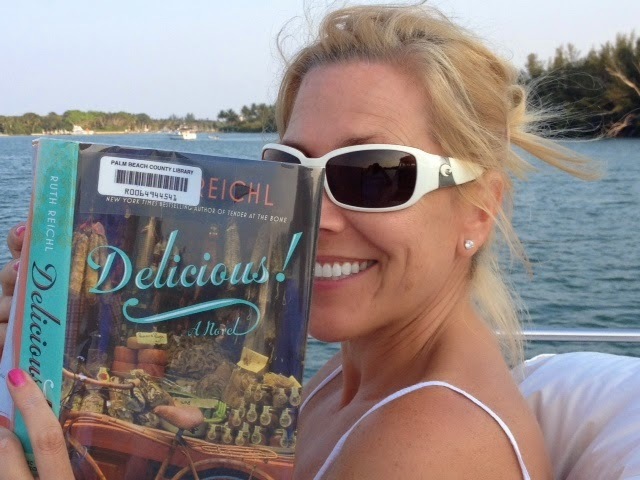 She flawlessly carries the reader through this story with mystery, humor, and lovable characters. The elephant theme kind of surprised me. There is a lot of elephant behavior research and it is both interesting and burdensome. I loved the twists and turns of the actual mystery but found myself wanting some other parts to hurry up, and I rarely feel that way. 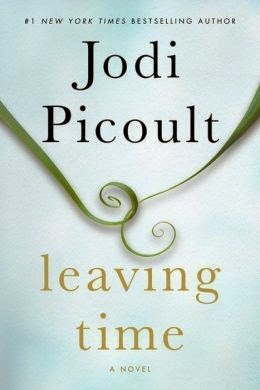 I adore Jodi Picoult. She always has a great story to tell. 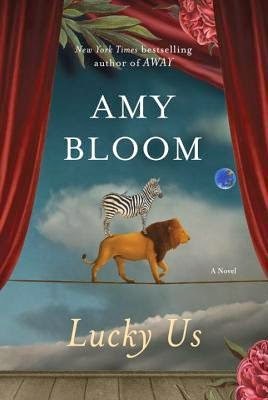 I suppose if you love mysteries, elephants and nature it is perfect for you! democratize, feed and in general help the German citizens. They say the Americans got the view, the French the wine and British got the ruins. When the Morgan family arrive, Colonel Morgan is stationed in Hamburg, one of the most destroyed cities in all of Germany. His wife Rachael and son Edmund make their way by ship from England to be with him, they are scared, nervous and have not seen the Colonel in quite some time. Rachael, not herself since their elder son died in a bombing the year before, and 10 year old Edmund is both reluctant and excited to see his father and begin a new life. There are but a few residences they could possibly stay in while on this post and Colonel's status leads them to a mansion by the river that has survived the war but its owners remain, which can be seen as lucky or suspicious to the troops. Being the fair, kind, intelligent man that he has been through this war, Colonel Morgan allows the father and daughter to remain instead of going to an internment camp where its residents are freezing and starving through the brutal winter. The house is huge but the idea of living with "the enemy" is revolted by the Colonel's colleagues and Rachael's acquaintances. The unlikely understanding and tolerance between the two families is a lesson in itself. Rhidian Brook is an incredible writer who shares this story with creative grace. Coincidentally, after I finished, I found this amazing article - http://www.theguardian.com/lifeandstyle/2014/nov/01/hamburg-after-the-war-how-my-dad-made-friends-with-the-germans which explains the premise of the novel and connection the author had to this house and this story. 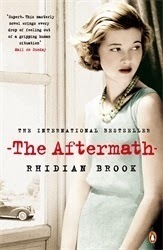 Highly recommend The Aftermath, there is no doubt I will be reading more by this talented author. face hard choices during the late years of the American Revolution. The main character is John, an ex-pirate turned brave soldier who falls in love with Helen. She is the daughter of a successful businessman, Asa, that is unrelenting in his love and his religion. A good person buried deep inside of a slave owning man that lost his wife and raises Helen to the best of his ability. Helen is given a slave friend Moll when she is just a girl and they nurture a sister like love hate relationship for all of their lives. And then there is Tabitha whom John loves with all his heart. He is raising their daughter to the very best of his ability, land bound for ten years since she was born until she contracts yellow fever and they set sail believing the sea may save her. This wonderful small piece of historical fiction is a haunting read. The times are difficult and life was often cut short. Author Katy Simpson Smith truly captures the deep love that bonds father and daughter, the horrific reality of slavery and the moral compass that drove generations of people to accept this and in hardship life in this new America that strove for independence and truly believed in the future. 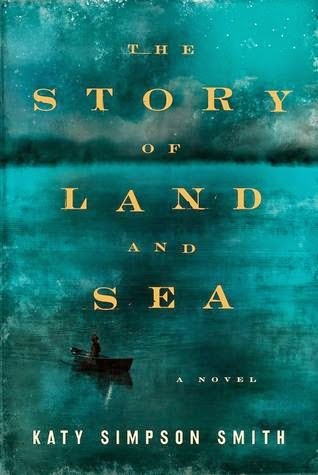 Highly recommend The Story of Land and Sea. young college girl finding her way to a new life in the big city. She is on her own for the first time and has left the safe haven of her cousins apartment. She is alone and she is lonely and learns quickly that these are two separate emotions. With unparalleled beauty this Korean author, Kyung Sook Shin, details the long days and nights that blend together endlessly for Jung Yoon. And then she meets Myungsuh, Miru and her cat named Emily (after none other than Emily Dickinson). Their triangle friendship which is both complicated and beautiful mixed with the unending riots and protests that fill the city, close the universities leaving all the students along with their beloved Professor bewildered and lost. All they want is to learn and read and be free but under martial law none of this is possible. The memory of Jung Yoon's mother and Miru's sister haunt them as they chase their literary dreams and experience young love for the first time. This is absolutely one of the most poetic storytellers I have encountered. 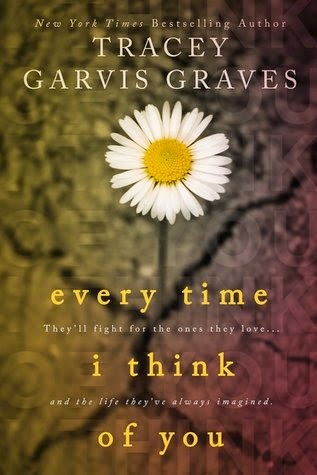 Although it is a slow - somewhat sad read , it is different than anything I have ever experienced, truly a beautiful story. Different time, different place, different perspective. Fiona and Jack have been married for most of their adult life. She is a highly regarded Family Court judge in London and he a professor at the nearby university. They have by default not had any children of their own but have a large extended family and brilliant careers that keep them busy and content. Until, its not. Jack approaches Fiona with the idea that as he turns 60 and before he dies, he needs a love affair with the gusto they once had themselves. Fiona changes the locks. Simultaneously we are pulled into the trials that Fiona's position demands daily. The cases defend and protect the welfare of children at all costs. It is not the morality but the law that must provide a safety for these children, thus The Children Act. Fiona's most intimate case is a loving family that refuses to give their son, who is battling leukemia, a blood transfusion due to the fact that they are Jehovah's Witnesses and it is against their religious belief. This is a fast paced, sophisticated read. While pulling the reader's heartstrings for all involved, Fiona's marriage issues cannot wait, as she loves Jack deeply and does not want to lose him. 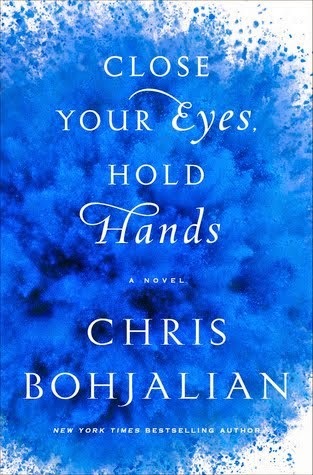 Highly recommend this excellent story that explores love and faith on a whole other level. a lower level according to the times, but full of the same delicious drama and romance as the original, its all about the house staff. Mr. & Mrs. Hill run the Bennet estate. Sarah, a young woman has been with them ever since she was orphaned as a child. She is diligent, hardworking and intelligent girl who remembers just enough of her former life to know there is more outside of servitude within these walls. Polly is still a small girl whom they have all grown to love. She is not much help in the kitchen but sassy enough to bring an element of liveliness to the repetitive motions day in and day out that the help endures. And then we meet James, the Mr. Darcy of this wonderful version interweaving dreams of which there are few allowed to enter young Sarahs life. James Smith, the new footman, is handsome and worthy and works his fingers to the bone for these women, but he carries a few secrets. Secrets that can change their lives forever. 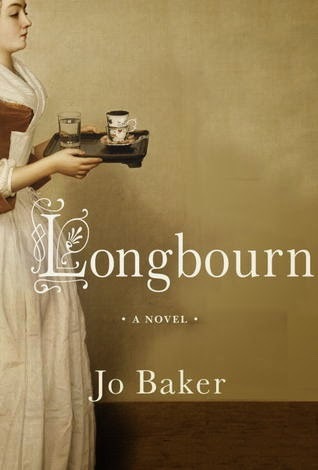 If you love Jane Austen, who realized the very basics of the romance novel way back in 1813, you will also love Longbourn. Author Jo Baker brings us into the heart and soul of the Bennet family and introduces us to a whole other cast of amazing characters. Who would believe that 200 years later matters of the heart would be virtually unchanged! A must read!! Maggie, a psychologist is called in for a difficult case at the hospital. And it is here that she meets Lakshmi, an Indian woman who has tried to commit suicide. So begins the incredible journey these women take together and unlikely friendship that grows to immense proportions. Maggie is married to her college sweetheart Sudhir, a professor at the University who is also from India. She has visited India many times with her husband and knows that the attachment Lakshmi has to her traditions and culture are all that matters and she is willing to sacrifice whatever it takes to make things right. Maggie has her own childhood skeletons lurking in the proverbial closet. In addition, she is surprisingly attracted to a photographer from the past that shows up unexpectedly and wreaks havoc on her quiet life. 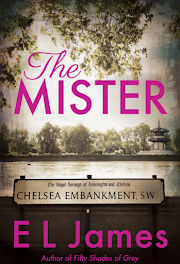 The attraction is so strong that Maggie gambles all that she loves; her husband, job and friendship with Lakshmi for this selfish, beautiful man. The tables slowly turn as Maggie teaches Lakshmi about independence, self worth and confidence and in return Lakshmi offers a friendship so pure and innocent, it is almost surreal. This amazing author Thrity Umrigar (The Space Between Us) once again reels the reader into the hearts and minds of these magnificent characters. The smells of Indian food waft through the air as you read and their voices are clear as a bell. 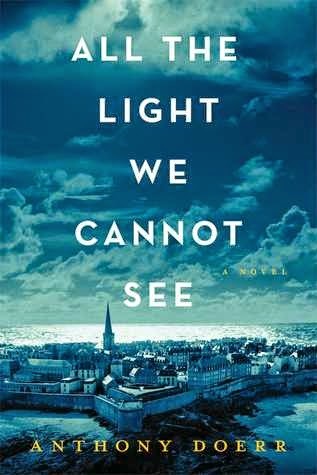 Learning the difference between right and wrong, what is possible and what is merely tolerable are just some of the lessons in this novel filled with friendship, love and family. 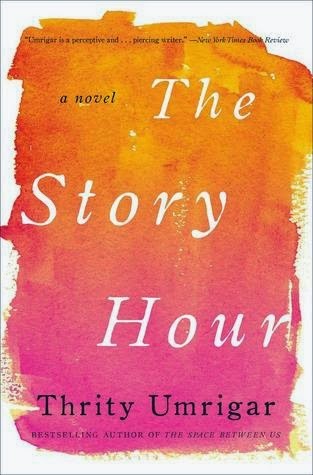 Highly recommend The Story Hour, it is a must for your reading list! Argentina for her semester abroad she is curious, young, adventurous and truly believes the world is her oyster, until its not. 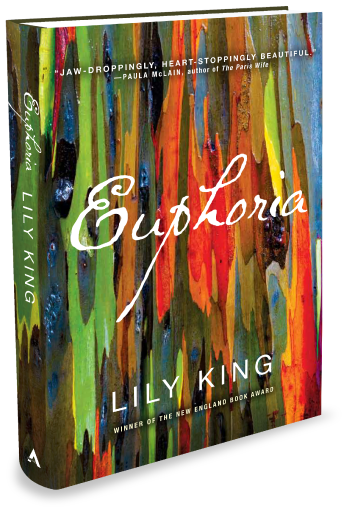 Lily's adventure quickly becomes a nightmare filled with murder and mystery. Her roommate (similar to the infamous Amanda Knox case) Katy is found brutally killed and with each clue and every person who has touched their lives in Argentina, the finger seems to point at Lily. Lily, with the obnoxious emails, the texts and conversations she should have never had. She appears jealous and envious of the beautiful Katy, the perfect student with the perfect smile. And Sebastian, the handsome neighbor whom Lily is romancing, conveniently mysterious while hiding in a house right out of the Adams Family. 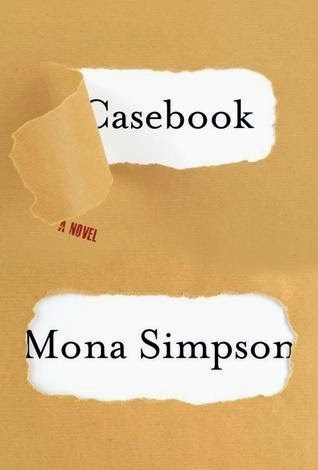 Lily's family comes to Argentina to support her through this horrific trial and her younger sister is both scared and angry as they find their way through this maddening foreign legal system. 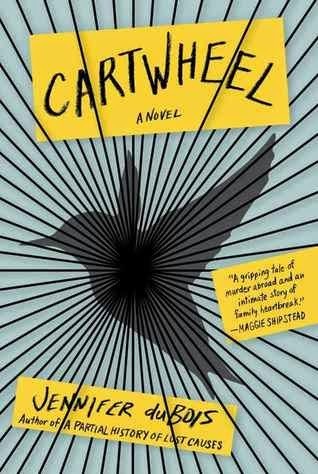 Cartwheel is filled with completely unique characters, it is suspenseful and well written. I love the way this author describes so completely each and every scene although it does take time to get used to the overabundant vocabulary that feels slightly self conscious. 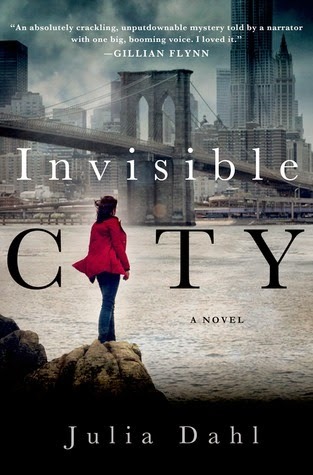 Highly recommend this exciting new novel, if you loved Gone Girl (and who didn't?!) or Reconstructing Amelia, do not miss this excellent read! Rainbow? Or a story where the main character in Landline is Georgie McCool? Georgie is a thirty something comedy writer in LA. Her husband Neal stays at home with their two young girls while she and her longtime writing partner Seth strive to create the next big hit on t.v. A few days before Christmas the comedy duo have an opportunity they cannot pass up and since Hollywood waits for no one, Georgie tells Neal she cannot go to Omaha for their annual trip to visit his family for the holidays. And Neal goes with the kids, without her. 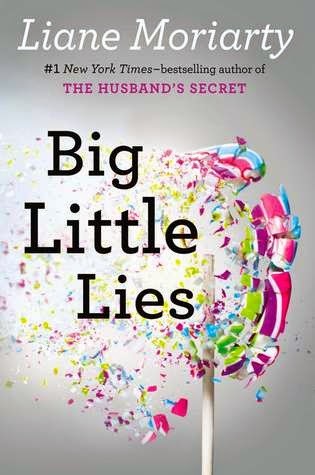 From the moment Neal leaves town nothing is right and as Georgie reflects on their marriage and their life together she becomes terrified that she has made too many mistakes and it has all finally caught up on her. The problem is she wholeheartedly loves Neal and as she reaches back to her past self for an answer to the future it becomes crystal clear that she cannot live without him. Laughing out loud at how real and unreal this is at the same time, I could not put Landline down. If only we could talk to our younger selves, reevaluate our dreams and take back some of the hope that was so abundant in those years. 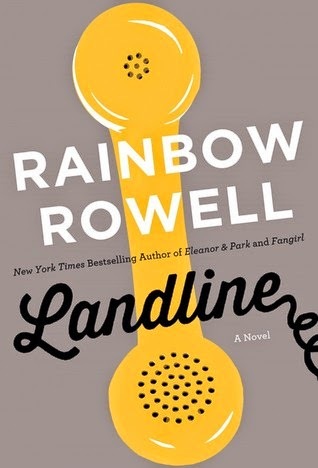 If you enjoyed the satire in Where'd You Go Bernadette (by Maria Semple) or reflective humor of What Alice Forgot (by Liane Moriarty), Rainbow Rowell writes with a consistently smooth, humorous flow that grabs the reader and won't let go. Looking forward to reading her other novels, I do not know how I missed them! a dog and two loving parents. August has everything that would most likely make him the most normal kid in the world. Except he is not your typical kid. August was born with a genetic anomaly so serious that the doctors did not think he would survive. But he did. And Auggie grew and grew and had 27 different surgeries to make his face and features as normal and functioning as possible. Throughout his early childhood he was homeschooled by his patient, understanding mother and finally, now that the surgeries are finished she would like him to start regular school, middle school. In 5th grade when kids are naturally self conscious about their bodies, their overall appearance and which friendships they make, Auggie has to learn the ropes for the very first time. And it is hard. 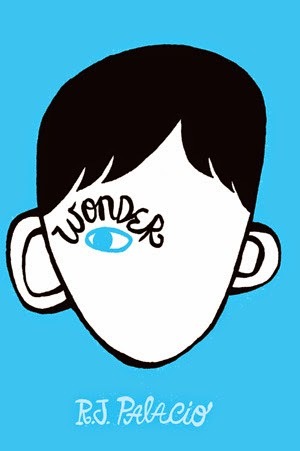 Wonder is about Auggie's struggle to fit in and survive in this world, his family's intense love for him and how friendships are made, and change and grow constantly. 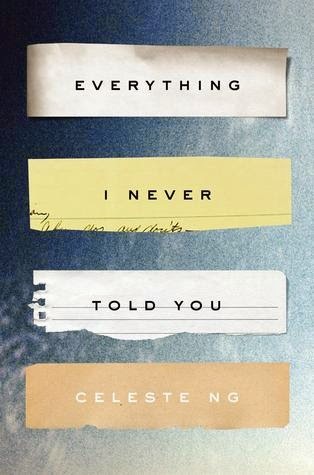 This YA book has many a lesson to be learned. The author fits beautifully inside the voices of these amazing characters. As you make your way through the kleenex you will fall in love with them over and over again. A simple story derived from a complicated medical wonder and the idea that kindness can really change the world. 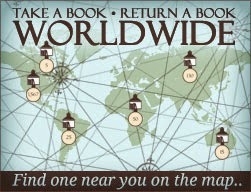 Island books is every booklovers dream until A.J.’s life slowly falls to pieces. After the death of his beloved wife (and this was her hometown, really) sales begin to dwindle. A.J. becomes unapproachable and alone. His love of books cannot fill the deep empty void that is his daily life. He refuses to socialize and pushes any do gooders away until a series of events changes everything. A chance meeting with a quirky sweet publishing representative named Amelia, a theft of an extremely valuable book of Poe and a package that is left in his store carrying a short note that will change his life forever. 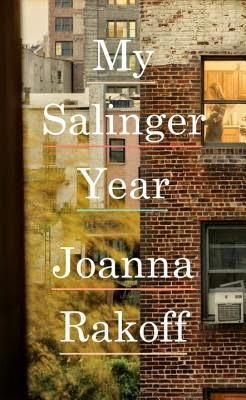 This is a beautifully written, easy pleasant read that no booklover can ignore. A.J. 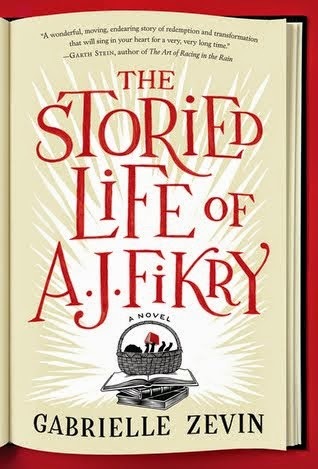 Fikry teaches us about life, love and books all in one simple story. What more could I ever ask for? Rosetta has always been the son her father never had. She works hard on the farm, she is tough, uncomplaining and even asks one of the boys to teach her how to fight. But her beauty lies not far beneath this gruff exterior and she marries her longtime friend Jeremiah. They dream of a farm together far away from the towns prying eyes, filled with crops and animals and eventually children. As the Civil War continues Jeremiah decides to enlist as they could use the $150 towards the start of their new life together. But three years is a long time. Little does he know that Rosetta who could not bare to be separated from the one person who understands her and loves her like no other, changes her name to Ross and enlists as well. She most certainly has the attitude that if he can do it, so can she, and then they will have twice the funds to begin their dream farm. Jeremiah begs her to return home but she refuses to leave his side and as the battle rages on, the details of the raging battles that follow leave the reader holding their breath with the turn of each page. Filled with such amazing characters I was not only able to envision but actually hear their voices! This historical novel captured my heart instantly and I could not put it down. 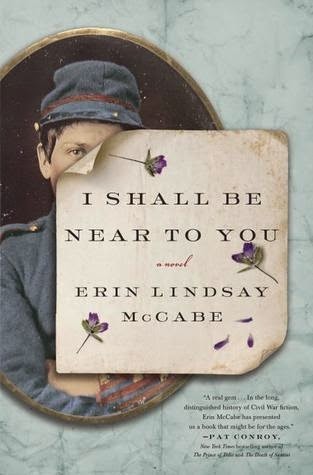 Thoroughly enjoyed and highly recommend, I Shall Be Near to You, for an in depth look at the Civil War through the eyes of patriotic young love. 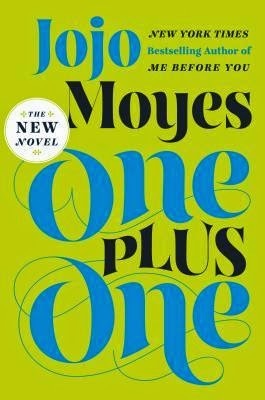 Looking forward to reading more by this exceptional author. Thank you Erin Lindsay McCabe for sharing your imagination and talent with us all! which contains no shortcuts. Her longtime relationship (12 years!) - subsequent short marriage ended in nothing more horrifying than finding out her husband was in a relationship with another woman, has left her law practice to care for her ailing and beloved grandfather in Maine. And it is there she begins a mysterious adventure that will change her life forevermore. Jack Wiseman spent his later years in a small town in rural Maine but his time in the army during WWII, his lifelong career as a professor at Columbia University, and his innate expertise with languages and history are all that Natalie has ever known about. As he nears the end of his journey Jack gives Natalie a beautiful locket he got during the war. He shares only a minute amount of information and sends Natalie on a mission she has no control over. Jack's dying wish is for Natalie to return the locket to its rightful owner, no easy task as his story took place well over 50 years earlier in war torn Germany. 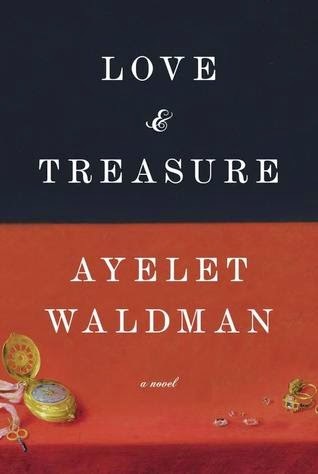 This incredible author Ayelet Waldman takes us through Germany, Salzburg, and Hungary, the war, the gold train and even to Yad Vashem in Israel. Natalie remains brave and determined to grant her grandfather his last wishes. 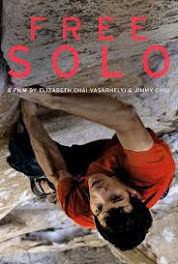 As the story unravels more quickly than even Natalie had hoped it becomes clear what she must do to fulfill Jack's wishes and the guilt he lived with for many years. I HIGHLY recommend this excellent account of the enormous amount of art, gold and belongings strewn throughout post WWII Europe and the difficult aftermath of DP's, their future and return of their personal treasures. Easy, quick, interesting read of a time when Love & Treasure were really one and the same. 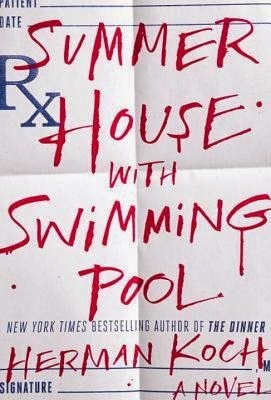 and narrator of this novel-like-memoir by Susanna Kaysen, author of 1993 bestseller Girl, Interrupted. 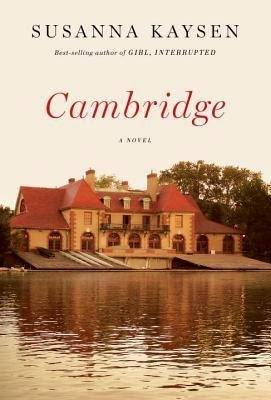 The story begins in England when the family relocates for a year sabbatical from university life at Harvard. Susanna is immediately as grim as the dark rainy sad days she describes. Elementary school is pure torture. Onward, the family returns to Boston and Susanna continues to barely scrape by on her lonely existence. Her parents, highly intellectual, in an awkward relationship, a younger sister vaguely mentioned, a Swedish nanny named Frederika, whom she adores and Roger, the one friend she can tolerate that she feels close to. And so continues the saga of poor Susanna's life. The family traipses off to Greece for a year where amid the ruins and bad economy of the 1960's, Susanna once again feels left out and unnecessary. 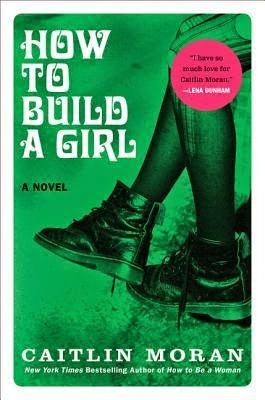 Susanna Kaysen is a fantastic writer, her words flow effortlessly as she describes in meticulous detail her childhood (or something like it - since technically this is not a memoir) quirky parents and search for adolescence as she faces her imposing teens that lay ahead. 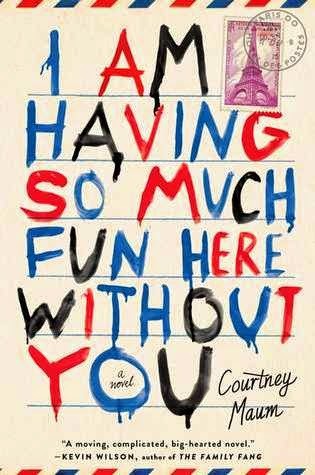 She is most certainly witty and honest and smart as a whip but the sadness is so apparent, the loneliness so contagious that it was almost too depressing to read. Perhaps my knowing that this young girl later grew up to write Girl, Interrupted, which became a cult classic and somewhat biographies her teens, may have set the tone for what I already anticipated would be a dark story. It is a quick, interesting well written novel but you must be in the mood for this type of genre. 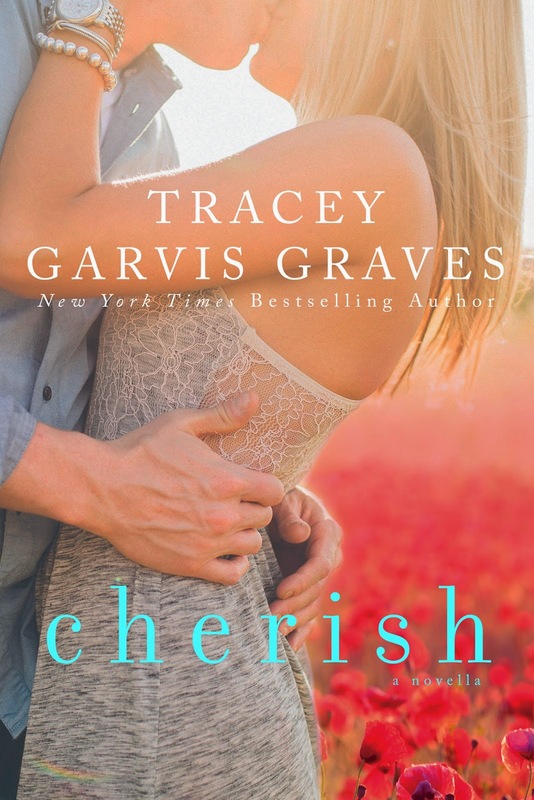 We are thrilled to share the gorgeous cover for Cherish, by New York Times best selling Author Tracey Garvis-Graves. This novella is a companion to Covet. Fans of Covet by bestselling author Tracey Garvis Graves will be delighted by this novella-length sequel. an artists life. An old house, off in the countryside, Gus painting on a sunlit porch and Owen writing magnificence in the cozy barn. But all is not as idyllic as it seems. Love, life, family, trust and even death are threaded throughout their every move, their every breath. 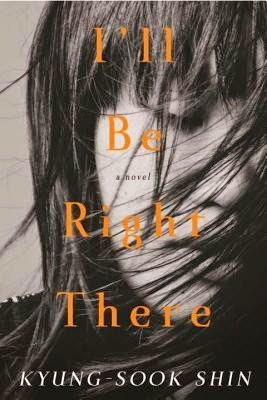 This incredible author Robin Black brings each feeling to the light as she literally paints a picture for us that is so shockingly real my heart beat loudly with the turn of every page. This couple, recently married but having spent many years together have no children, have not much in the way of family outside of the little enclave they have carefully built with their art, their passion, patience and love. But love can be tricky and when trust has been broken it is sometimes hard to repair. 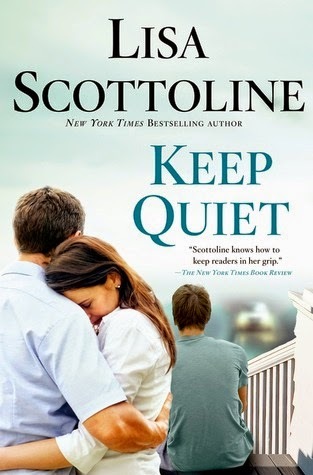 Alison, a beautiful, self appointed artist bearing her own secrets moves in next door, their quiet repose is temporarily shattered, yet Gus finds a calming friendship with Alison that surprises even herself. When Nora, Alisons daughter visits, the web that is woven becomes ugly and dangerous. 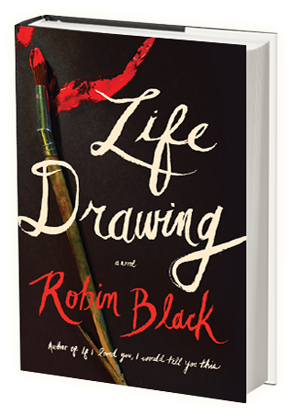 I could not put down this unexpected novel, set outside Philadelphia with likable characters and quiet yet page turning prose, I HIGHLY recommend Life Drawing. A must to add to your summer list, fall list, winter list, A MUST READ! and living in London. But just when things could not be any better they take a tragic turn for the worse. 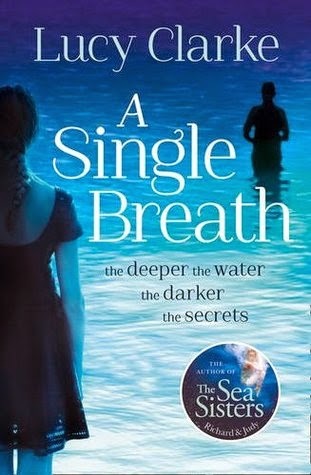 While visiting Eva's mum, Jackson loses his life in a horrific fishing accident off the coast of Dorset. Eva is devastated. The pain of her loneliness is so intense she can barely function through her days. 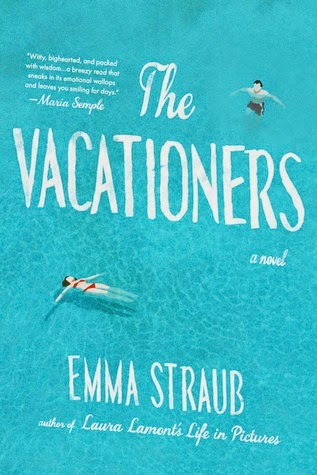 Her best friend Callie has taken a job opportunity in Melbourne and although a vacation is the last thing on Eva's mind, a trip to the nearby state of Tasmania, where Jackson grew up may answer some of the burning questions Eva has been carrying in her heart for the two years they had been together. Upon arriving Eva's discoveries surpass even her wildest dreams. Nothing makes sense, the pieces of this life and this love she and Jackson share in no way fit together. His brother Saul, father Dirk and long ago death of his mother haunt Eva's days and nights until she slowly begins to find the truth about Jackson and the truth about herself. taken at 22 years old, in an avalanche three months earlier has devastated her life. Sarah is a single mom living in the beautiful town of Breckenridge, Colorado. Surrounded by the magnificence of blue skies and soaring mountains, she is trying to make sense of this tragic episode while treasuring the memories of life with her son. Along with a quirky bunch of characters; her smart, funny dad, annoying and loving best friend Suzanne and well meaning ex, (Cully's dad), Sarah tries her very best to go back to work and back to living. But as nothing is ever so simple, in walks Kit. A witty young girl that was mysteriously a part of Cully's life and now a part of theirs. This novel perfectly named, is just about that. The ones that are anticipated and the ones unexpected. 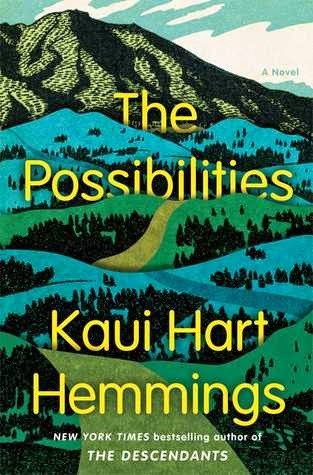 As with the bestseller, The Descendants, author Kaui Hart Hemmings weaves her gentle magic again, around a family that the reader is immediately a part of, a serious subject lightened with amazing characters, wit and humor, and a life lesson slowly easing into our hearts. 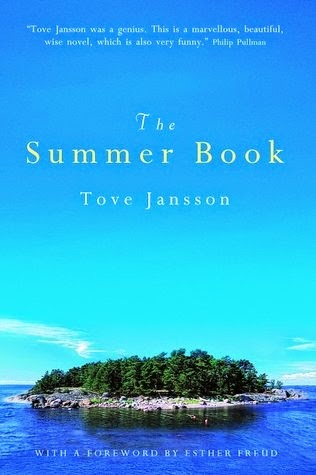 Excellent summer read, easy and enjoyable. With tears and a smile I could not put it down, this beautiful life with all its many possibilities. BUY TODAY!! Tyler's girlfriend Beth in a small apartment in Brooklyn. Barrett, recently left by his boyfriend is heartbroken. Finding himself alone and blue, not only for the love he thought he possessed but the life that seems to have no ground and is taking him nowhere. Tyler, a struggling musician spends his time caring for beautiful sweet Beth who is hanging on but barely, as chemotherapy destroys the good and the bad. One day as Barrett is walking through Central Park he sees a vision. A turquoise light, and as he searches for meaning the snowflakes keep falling and days keep spinning all too fast for the man that just wants something dear to hold on to. These characters, along with a few other friends create the small group in the small sad world they all live in. It is not fame and money and success that they are missing - but hope. 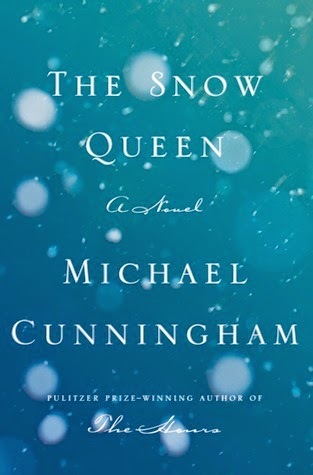 The Hours By Michael Cunningham is one of the best books I have ever read so I was drawn to read his newest novel. 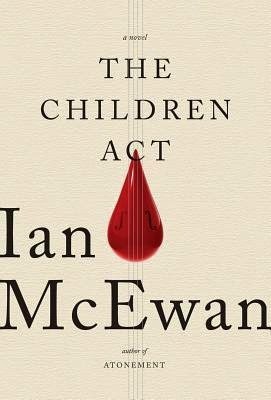 The writing is beyond superb and its a rather quick read that flows well but its sad - and the significance is deeply buried. Most certainly it will leave you thinking and wondering about these characters and the choices they make for a long time to come.